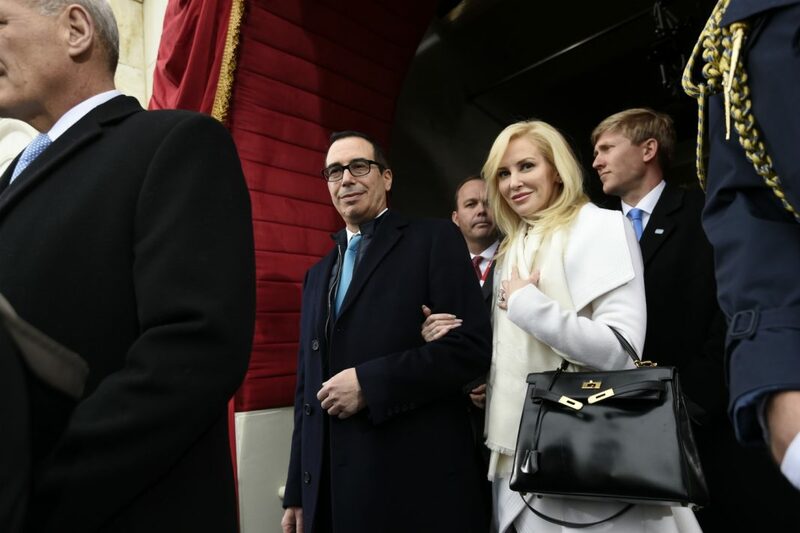 Since she became the third wife of U.S. Treasury Secretary Steven Mnuchin in a June 2017 ceremony presided over by Vice President Mike Pence—in front of a glittering political crowd that included President Donald Trump and First Lady Melania—Louise Linton has become infamous in Washington, D.C., mostly for her public relations gaffes. No wonder Linton has been spending a lot of time in recent months in Los Angeles, a continent away from Washington, D.C. Linton is working on low-budget genre movies—including Me, You, Madness, which she wrote, produced and stars in—seeking to reignite a stumbling career and build her company. However, it turns out political controversy continues to dog her. Just days ago, the U.S. Ethics Office declined to certify Mnuchin’s 2018 financial disclosure form because of questions about Linton’s role as his partner in an independent movie company from which he was required to divest interest to avoid a conflict of interest. Mnuchin, who says he got approval from a Treasury Department ethics official, recently signed a modified ethics agreement promising not to do anything related to or for that company. The Treasury’s assistant general counsel, Brian J. Sonfield, in support of Mnuchin, wrote in a letter to the ethics office that Linton’s ownership of the business is “consistent with all applicable ethics laws and regulations.” Treasury spokesman Tony Sayegh also tweeted the statement. The government has begrudgingly agreed. Sen. Wyden has also raised questions about whether Mnuchin violated his ethics requirement when he divested from Dune Entertainment, a hedge fund that financed studio movies, most notably through a $450 million pact with Warner Bros.
After he was announced as Trump’s pick for Treasury in late 2016, Mnuchin appointed Linton as CEO of Dune. Wyden said he was concerned because putting Linton in charge “undermined” the purpose of Mnuchin’s divestment. Based on all they still face, that appreciation is likely to be tested again in the future.